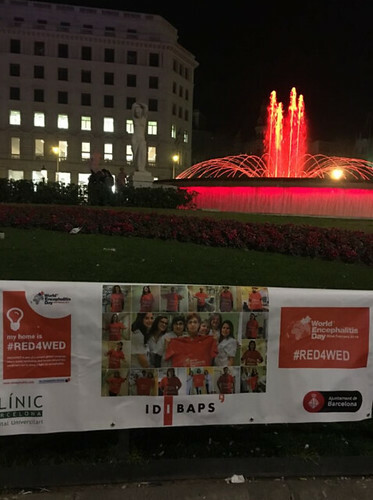 The fourth annual World Encephalitis Day on February 22, 2017, reached an estimated 40 million people through traditional and social media and saw more than 50 global landmarks and buildings go #RED4WED by lighting up in the colour red to celebrate The Year of Awareness. Buildings which were illuminated included Niagara Falls, the Millennium Bridge in Gateshead, the fountains at Trafalgar Square, the Fountain of Two Rivers in Modena, Italy, the Swan Bell Tower, Perth, and Blackpool Tower. 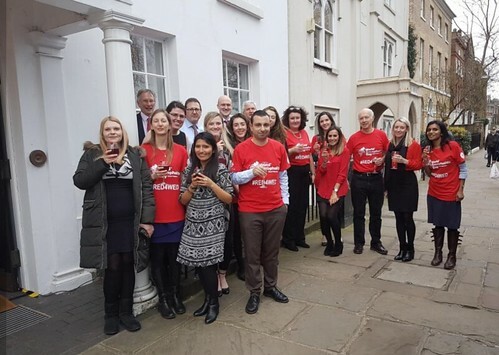 Supporters continued the #RED4WED campaign by wearing red clothing on February 22 and sharing their photos on social media as well as their stories with the media.